DISH deals include FREE installation! Installation by local certified technicians! Trust your satellite TV dish install to Satellite Country- a DISH Authorized Retailer with an A plus rating from the Better Business Bureau and one of the highest customer retention rates in the industry. 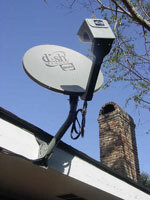 Get DISH from the customer service leader in TV service providers; get DISH from Satellite Country today! 1-855-213-8953 toll-free!